1) It’s been a crazy couple of weeks here at Mission Control, so today’s installment of Ellie’s adventures won’t be showing up until Friday morning. Make sure you come back and check it out! 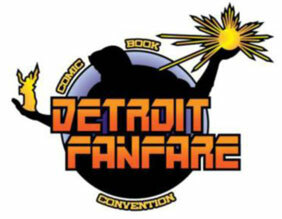 2) I’ll be appearing at Detroit Fanfare this weekend at the Hyatt Regency in Dearborn, MI. I’ll be there on Saturday and Sunday for sure, and possibly Friday if my schedule permits. I’ll have a bit of Ellie swag with me for sale too. Hope to see you there! 3) Those of you who got weird Twitter messages from me, sorry about that! It appears we were hacked! I think our top I.T. guys have got it back under control. And 4) Since there’s no comic today I thought I’d share this drawing from my sketchbook. My mom told me this story not long ago. It seems that when she was young, she remembered a strange old man who came into her yard, took one of the family chickens and drank its blood! Super creepy, I know! This is how I pictured it. Click to bigafy. You mean you didn’t see a video of me and think “wow strange”? 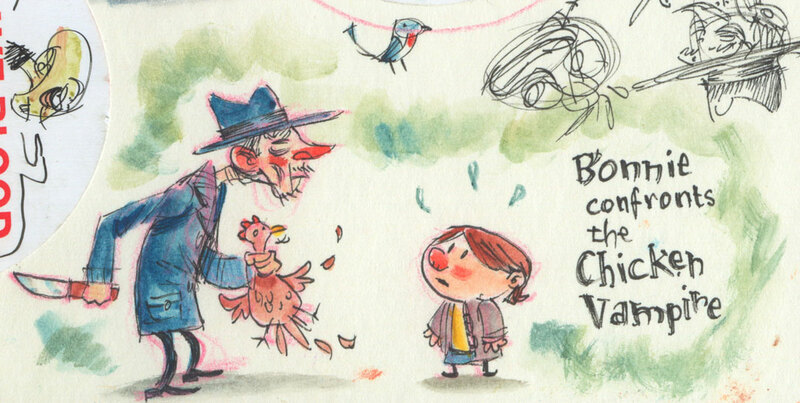 Couldn’t be stranger than the chicken story, at any rate. No, I did. I just didn’t tweet about it. What can I say? My (Witch) Doctor told me my cholesterol was way to high and I should cut back on red meat (particularly humans). It was either this or become The Fish Vampire.